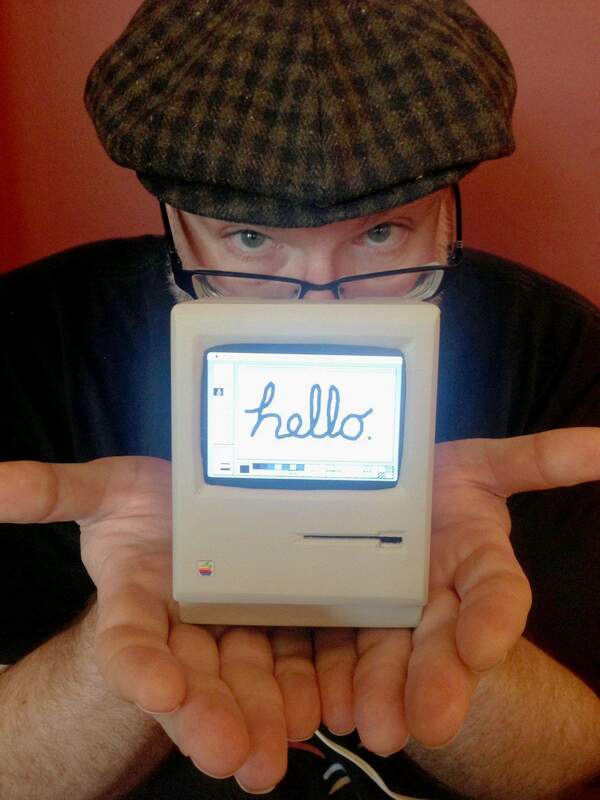 The Mini Mac is done to 1/3 scale. Leake made the case using sheets of PVC plastic (white 3M Sintra) which yields easily to an X-Acto knife. He then used files and sandpaper to shape the bezels, with extra care taken around the curves near the screen. The sides, bottom and front were glued together to make one piece and the top and back a second piece. During the podcast discussing Mini Mac, Leake notes that the assembly took about twelve hours total. 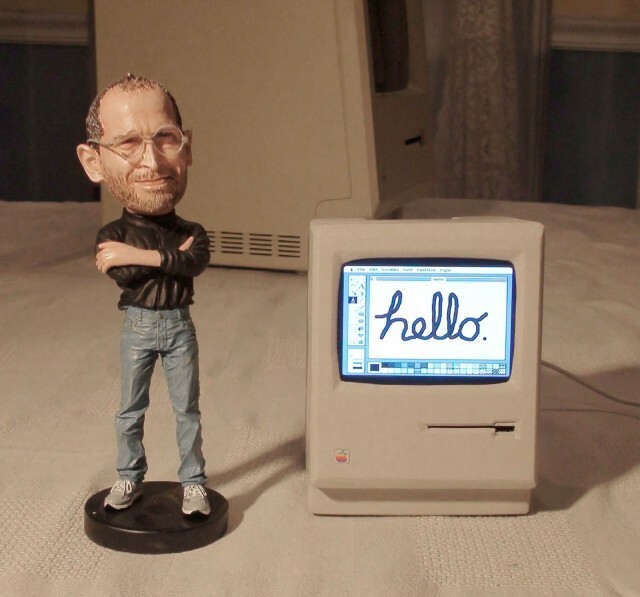 If he decides to make more of these super-cute miniscule Macs, he may employ a 3D printer rather than manually crafting elements. 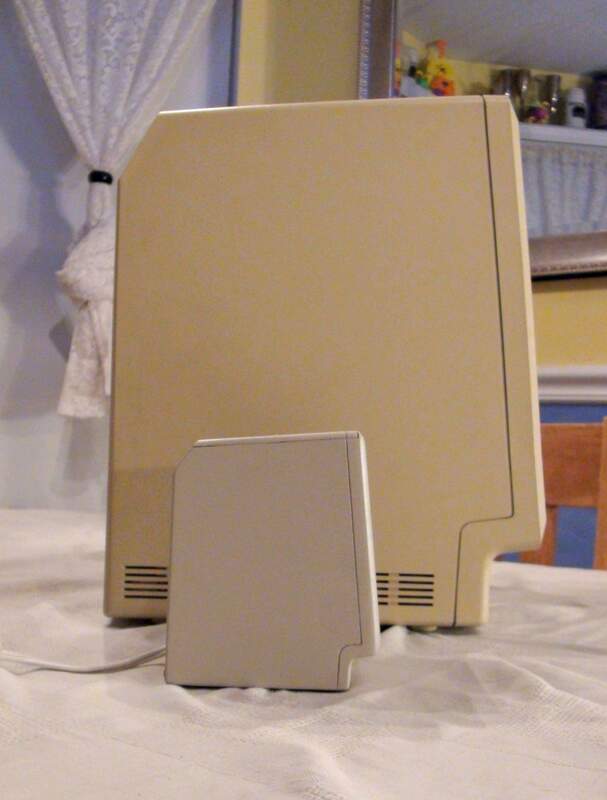 Mini Macintosh next to the full-size model. The monitor is a 3.5-inch composite LCD panel, held in place with two brackets and a few Velcro tabs. The Raspberry Pi (aka “the motherboard”) sits on the left next to a four-port powered USB hub. Two USB ports are facing out and two facing in. 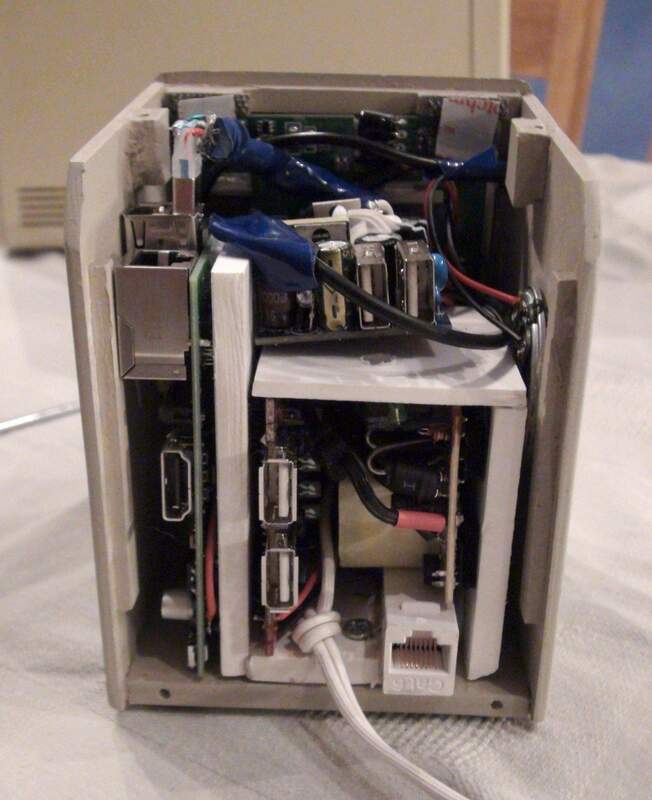 The cramped innards contain a Raspberry Pi (left), a few USB hubs and power supplies. One of the inside ports holds a Wi-Fi dongle, the other a Bluetooth dongle. 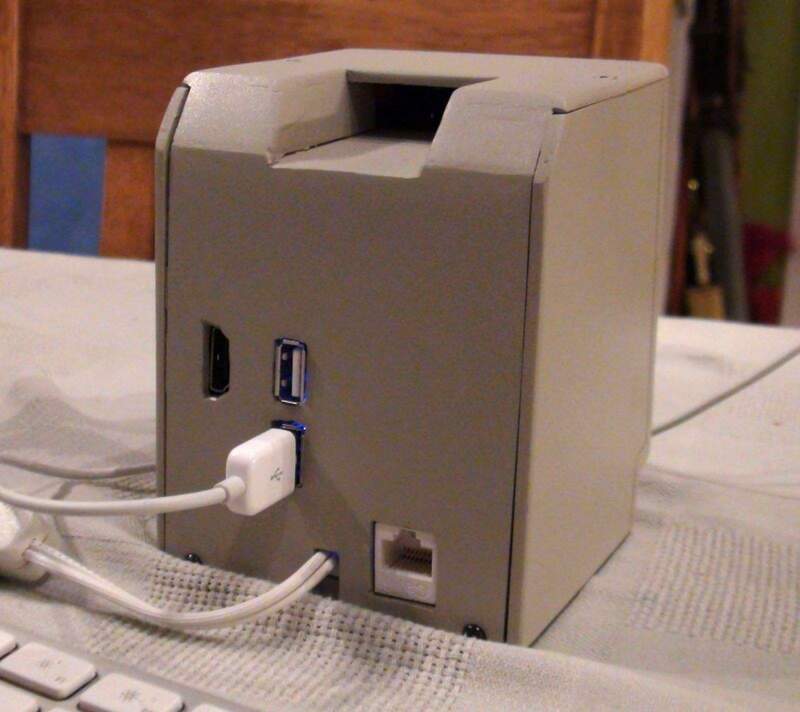 On top is a two-port USB charger that powers the Raspberry Pi and the monitor. To make everything fit, Leake had to make a few modifications. The rear case sports two USB ports, an HDMI port, and an ethernet jack. This may be the only Compact Macintosh in the world with an HDMI output port! On the software side, the Raspberry Pi is running Rasbian, a modified version on Debian Linux. On top of this is the Mini vMac emulator running System Software 6.0.8. Leake was worried the tiny screen would be completely unreadable, but things turned out OK.
More video of the Mini Mac in action. More info is available in the latest RetroMacCast, which is rapidly approaching its 300th episode! Nice work, John. When can we order one? Leake with his newly birthed creation. Source: RetroMacCast Image: All photos by John Leake, used with permission.